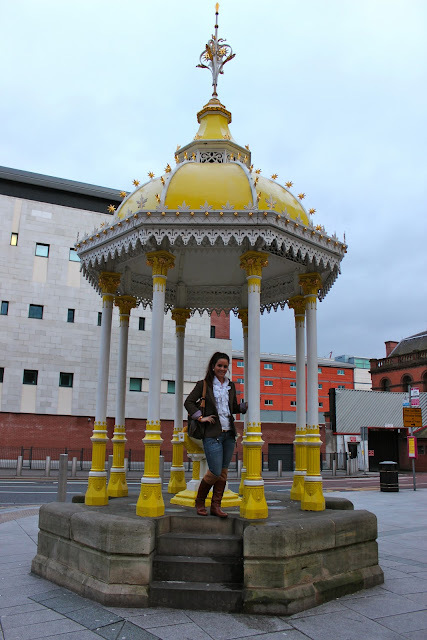 Last weekend, I took a day trip to Belfast in Northern Ireland. Belfast is home to one of my favourite Shopping centers “Victoria Square”. It has the most beautiful architecture as well as some amazing shops. At the very top of the centre there is a viewing gallery where you can see all over Belfast City. This was an ideal location to try out my new Camera! After receiving lots of advice on Facebook and Twitter from my followers I chose the Canon 600d DSLR and I am delighted with it! The picture quality is a million times better than my old little camera and I look forward to sharing with you, lots of new and exciting shoots for “The Sequin Cinderella”. For the shopping trip I chose quite a casual look, wearing my Favourite Jack Wills blazer, jeans and my super comfy boots from Tommy Hilfiger. Finished nicely with, you guessed it, an LV bag! Looking forward to hearing your opinions on my look and my camera choice!